"show":... to exhibit, to be seen, to perform, to demonstrate, to make a point... a place to SHO-off art! . 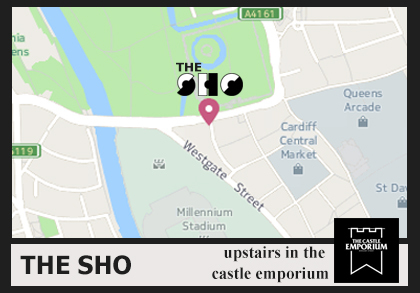 The SHO was set up in 2010 by artistic duo Emily Michael & Dan Hardstaff, as an independent friendly gallery and shop catering for art/design appreciators and individuality seekers. With an exhibition and events calendar it brings together collections of contemporary design, digital art, illustration and original artworks. A gallery/outlet with affordable art and design where you can find digital and original artwork, hand made jewellery, screen-printed T-shirts, limited run art prints, collectible vinyl toys, lifestyle accessories, gifts and cards. 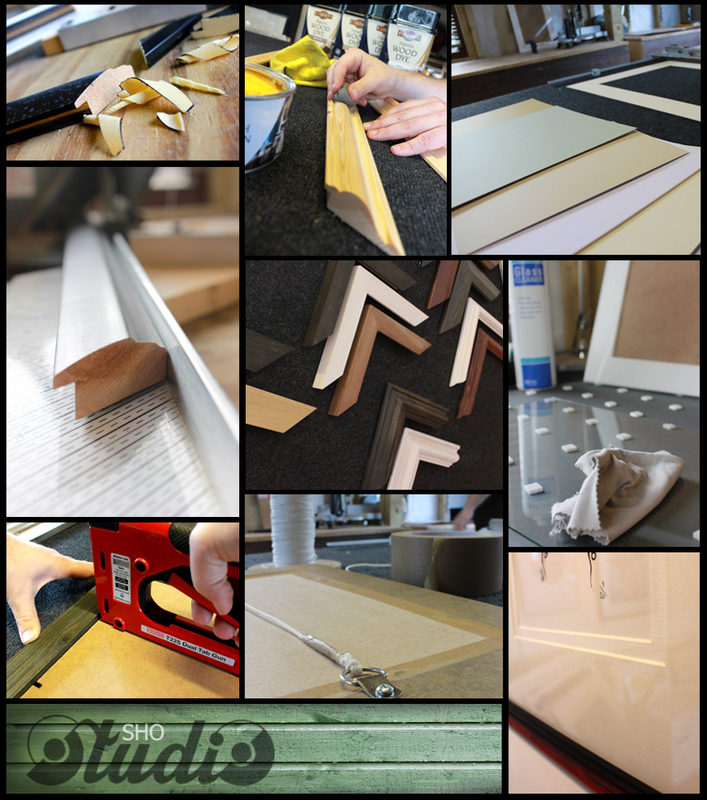 We stock a range of supplies for artists and offer a custom framing service. Our aim is to offer refreshing products designed and made to inspire. 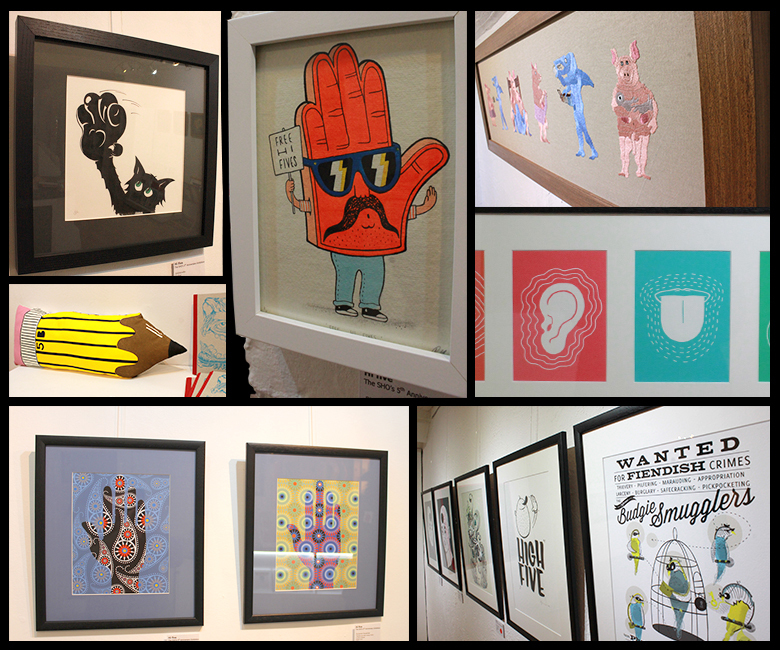 ‘Hi five’ is an exhibition celebrating The SHO’s fifth anniversary! What better way to celebrate this, than to exhibit new and exclusive works by selected talented local artists & designers who have played a part in the gallery’s success over the years. The exhibited collection of designs & artworks, by at least 20 different artists, ranges from screen-printed illustration to 3D objects & special editions. The exhibition featured interactive hand embroidered objects and short films featuring Spike's glove puppets. Pixel Dust 14th June - 12th July 2014 - Jonathan Ball is an illustrator and graphic designer living and working in Cardiff on a diet of pixel dust. Inspired by lo-brow art forms such as cartoons, retro video games, urban art and cute monsters, he creates fantasy worlds and characters in vibrant colours and settings. The first exhibition of original illustrations by gig poster designer & horror movie fanatic Adam Chard, AKA Croatoan lovingly-inked zombies, monsters and video nasties; trash culture pumped through a rotten heart. 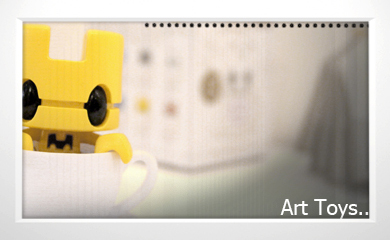 An exhibition featuring over 70+ custom works of art based on Matt JOnes platform art toys “Lunartik in a Cup of Tea". These artistic interpretations have been brewed to perfection by a fine selection of World Artists. A Collection of work from "Invisible Creature"
The SHO exhibited a collection of works by 'Invisible Creature' a Seattle based design due, Don & Ryan Clark. 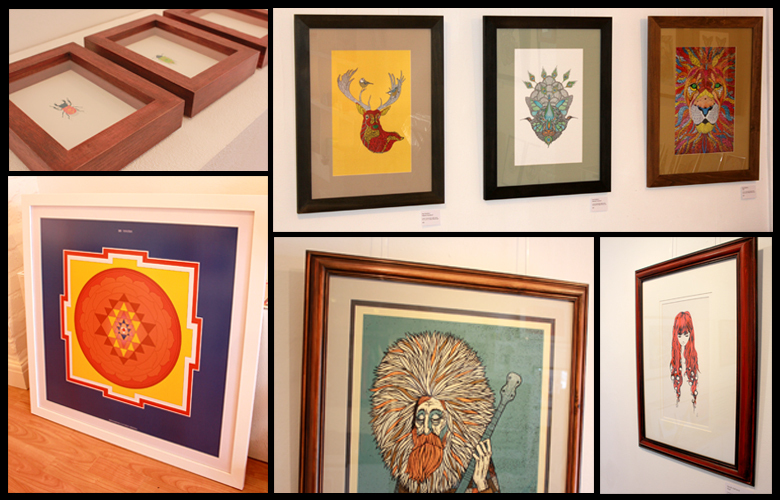 A selection of both framed and unframed Limited edition prints are available. More about 'Invisible Creature' and the show can be seen here. Using different techniques they explore the complexity of the human being, the woman. A group exhibition by the 'Pack of Wolves' collective. Curated by Andy Kelly, the evening and show were a great success raising lots of funds for DiabetesUK. See the blog for more details. Following a successful event, part 2 will be coming later in the year! 'Take It To The Bridge' is a solo exhibition by the mighty Bristol based graffiti artist CHEO. Introducing a brand new collection of works, bringing an exciting exhibition of original canvases and a series of prints across the water for a Cardiff audience. The Christmas 2011 mixed exhibition included works by: deprivedanxiety, Dan Green, Mat Miller, James Moore, Philip Morgan, Shirley Pearson, Josh Redman Ceramics, Polly Reichelt, Helen Smith, Rob Stevens, Tabitha Urch, Katy Webster as well as some regular favourites. "SHO-Meow" an exhibition of artworks representing our love/hate relationship with the feline species. Ben Davies. Sarah Edmonds. Tom Kitchen. Liz Price. Kate Hamilton-Hunter Jewellery. Sarah Defriend. Studiosquareone. An exhibition created from the influence of sound, through the love of music and the impact it has culture has on the art world. Charlotte Marie Evans, Nic Finch, Darren Floyd, Matt Joyce, Ben Lamb, Matt Needle and more. Nigel Bowles, Maggie Davies, Eak Design, Ed & Flo, by kirsty, Tom Kitchen and Valerie Lesley. Matt Jones (aka LUNARTIK), Jonathan Ball (aka Poked Studio), Liz Price, Renato Pequito, Matt Joyce,Will Hodge, Matt Needle, Huw Barrett, and Ben Thomas. A vibrant collection which displayed both drawn and digital illustration. 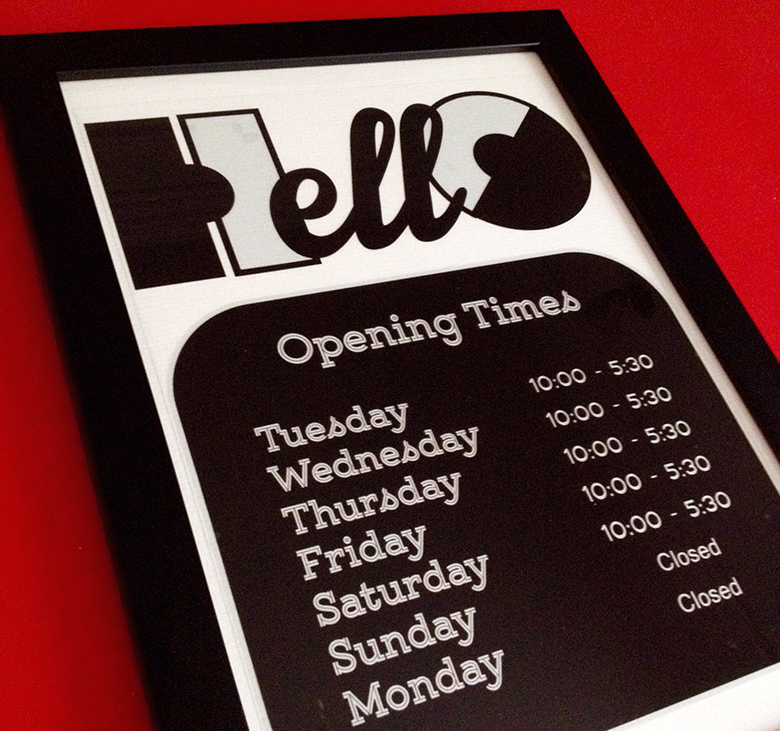 For our full range visit the SHO or various items are available online! 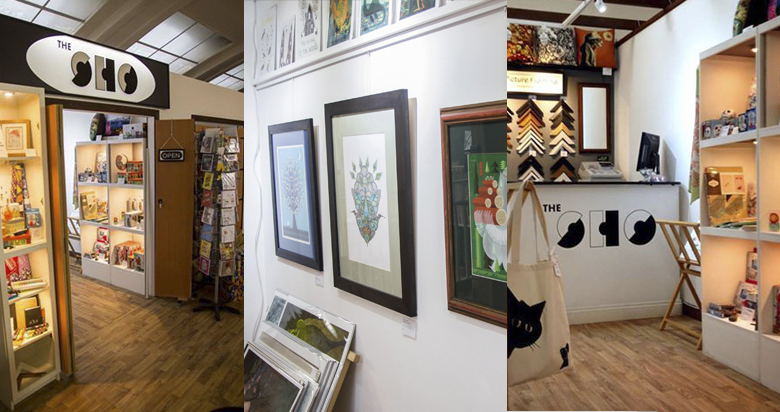 As well as our current exhibition in the Gallery we have many other artwork and prints available in store and online. From original paintings to limited edition digital and screen prints. A collection of home ware and lifestyle products designed to inspire. 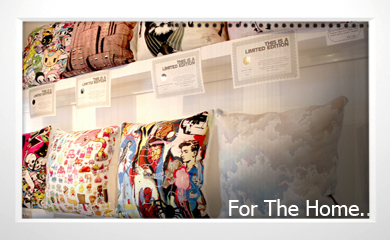 This includes tableware, printed tea towels, art cushions and much more. 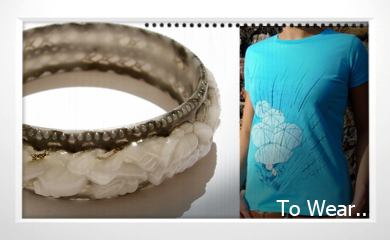 The SHO has an ongoing range of screen printed T-shirts, textiles and a unique collection of crafted jewellery from different artists. 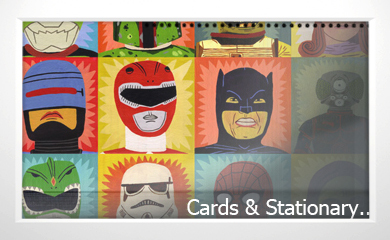 A wide range of greeting cards, gift wrap and other fun bits. Including crafted and designed cards from local artists as well as designs from Urban Graphic, Black Rabbit, HIMP and many more. 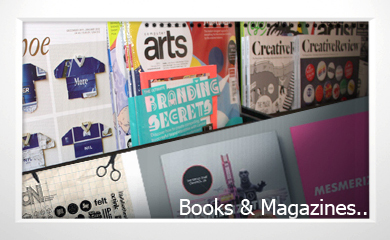 A selection of art and design books and magazines are stocked, covering designer lifestyle, photography, digital arts, graphic design illustration and more. Becoming one of our exhibiting artists is on an invitation basis only. However, if you would like to introduce yourself/work to us then you can email us with a link to your portfolio - Gallery space for solo/group exhibitions is available for hire where appropriate, please contact with your proposal for consideration and further details. Due to the number of emails we receive everyday from artists all over the world, we’re sorry that we cannot reply to every email. But if we like your work we will keep you on file and we will contact you! Please do not bring portfolios or work to the gallery - thanks!